Spotify has a pretty deep archive, but its poor tagging and search features make it difficult to burrow into the more obscure corners and find the weird stuff hidden below pop songs and other junk. Here are five things that may be of interest to Catholics. Pope John Paul II: Mass in English is not a whole mass, but the Liturgy of the Eucharist, with oddly mislabeled tracks suggesting this is side two and side one is missing. 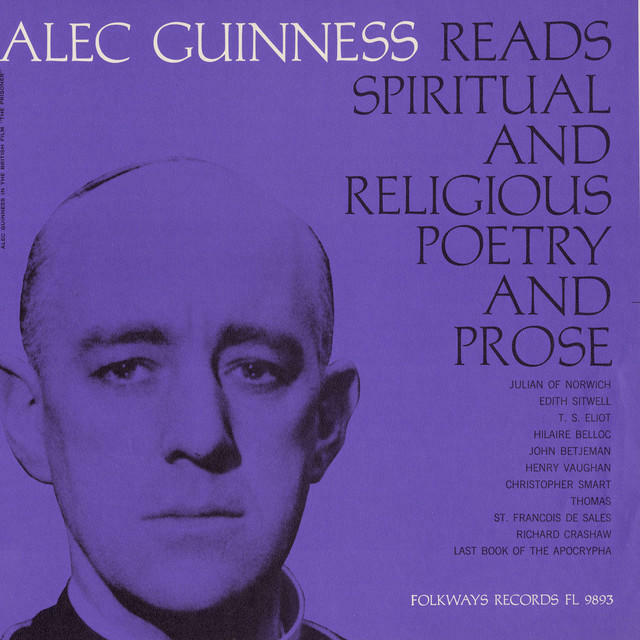 Alec Guinness Reads Spiritual and Religious Poetry and Prose has the Catholic convert reading from Julian of Norwich, T.S. Eliot, Hilaire Belloc and others in that magnificent voice. Ensemble Unicorn: The Black Madonna is an album from one of my favorite early music groups. This one is a collection of early 15th century pilgrim songs from the Monastery of Montserrat, and it’s the kind of alternately vigorous and pious music I associate with medieval Catholicism. Fr. Benedict Groeschel & Simonetta: The Rosary is a Place alternates prayers and meditations by Fr. Benedict with songs by Simonetta. The songs aren’t to my taste, but your mileage may vary. You can create a playlist that leaves them out and just have Fr. Benedict’s portions. G.K. Chesterton: Four Father Brown Stories has “The Absence of Mr. Glass,” “The Blue Cross,” “The Resurrection of Fr. Brown,” and “The Honor of Israel Gow” read by Bill Wallis. Here’s a bit of Ensemble Unicorn to get you going.